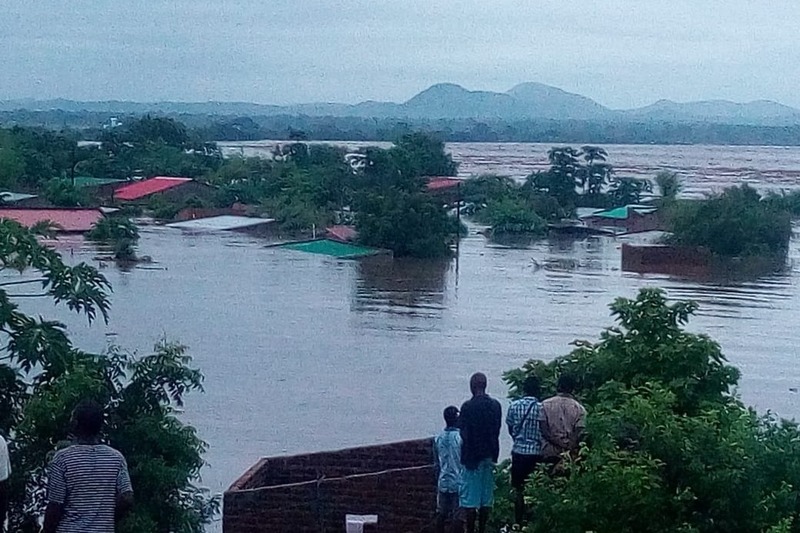 Tropical Cyclone Idai has struck most severely Zimbabwe's Chimanimani and Chipinge districts, and adjoining regions of Mozambique and Malawi, causing unprecedented destruction of life, homes, clinics, schools, businesses, whole neighborhoods, roads, bridges, and crop fields. Hundreds are dead, and thousands are missing and presumed dead. This appeal seeks to raise $50 000 to complement on-going efforts to rescue and relieve suffering for the thousands affected in Zimbabwe. Many are still trapped or marooned in the broken, mountainous landscapes and water-filled valleys; many broke limps and suffered grievous injuries and trauma. Donations will complement on-going efforts to buy non-perishable foods, medicines, sanitary ware, and bottled water. Emergency help is needed now and into the next several months, when communities and students will need to be rehabilitated, homes and schools rebuilt. My name is Mhoze Chikowero, a Zimbabwean Professor of African History at the University of California, Santa Barbara. I am the principal fund-raiser here in the US. I did most of my schooling in Mhondoro, rural Zimbabwe, and I can fully imagine the impact of disasters like this one. Most of my research revolves around Southern African cultural histories, specifically music. Many musician-friends are making heroic efforts to raise relief aid, especially through the Zimbabwe Musicians Union (ZIMU). I will send all the money raised to ZIMU, liaising directly with the union's Chairperson, Edith WeUtonga Katiji and other members of union's relief task force, namely Jazz musician Ruth Mbangwa, University of Zimbabwe Professor (and musician) Fred Zindi, and ZIMU Spokesman Daniel Ngwira, a banker. On the distribution end, the union is working with the Mayor of Harare, Obert Gomba and his team to truck mobilized materials to Chimanimani and Chipinge. Edith WeUtonga Katiji and the ZIMU task force will provide me with receipts of purchases and feedback for accounting and updates. Moreover, I will travel to Zimbabwe on my own funds about June-July to assess the situation on the ground and give feedback on the impact of the assistance and what we might need to do moving forward. 1). Donations here, and, 2). Host me and a Zimbabwean mbira musician for a lecture-concert. I will mostly be working with Tanyaradzwa Tawengwa, a Zimbabwean Ph.D. Music student at the University of Kentucky, but also others in the different places. This is the Mushandirapamwe Lecture and Concert Tour for Idai, US-Canada 2019-2020, which works perfectly for programming in African Studies, Music, History and related programs in universities, colleges, cultural centers and churches. Thank you for your support; everything helps. And remember to share widely.